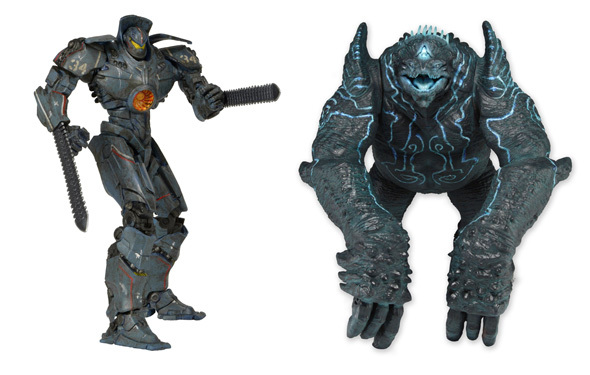 Re-enact the epic battles between monsters and mechs from Pacific Rim! When an alien attack threatens the Earth’s existence, giant robots piloted by humans are deployed to fight off the menace. This Series 2 action figure two-pack includes Battle-Damaged Gipsy Danger and Leatherback. The deluxe 7″ scale action figures were created directly from the digital files used by ILM in the making of the movie. Fully poseable, highly detailed, and ready to rumble!